Create fresh, vibrant salads in minutes with our organic salad box. 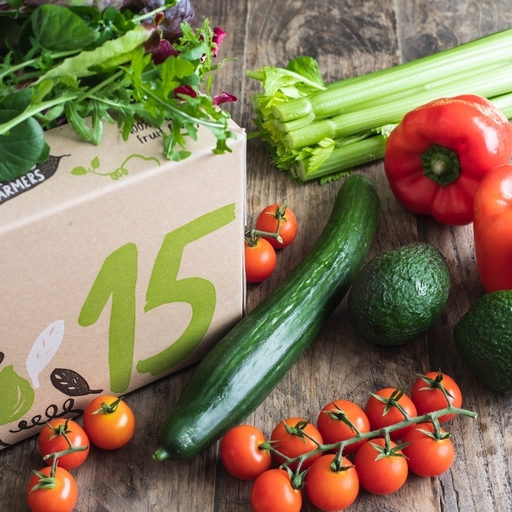 Full to the brim with 6 seasonal salad veg, this box is bursting with colour and flavour. No soggy supermarket leaves here; expect crisp lettuces, sweet cucumber, and tomatoes grown for flavour, alongside seasonal treats such as radishes, avocados and spring onions. The contents change every week, so your salads need not stagnate! Full of goodness, freshly picked and delivered free to your door. Our organic salad box is a healthy habit you’ll love.